Created by Tencent music entertainment group (TME), the first top musician live show of China - Big Music+ super live, kicked off its first online broadcasting on November 7 on QQ music, a Chinese music streaming platform. The guest of the first live show is Chinese popular hip-hop singer and song writer Wilber Pan. Different from other music programs, Big music+ super live is highly interactive. In every episode there is a music guest doing Q&A as warming up. Only when the number of audience reaches a specific number can the stage be unlocked and the guest starts to perform. All the process is done on QQ music's live streaming platform. 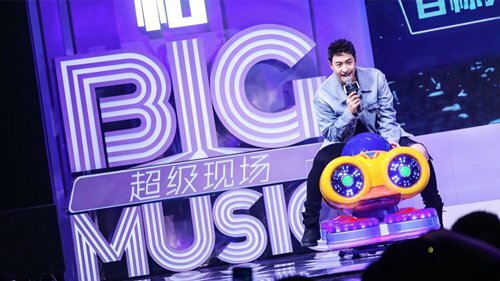 The show is the debut of the "Big music+" project promoted by Tencent music entertainment. Jointly created by Tencent music entertainment and top Chinese musicians, this project aims to provide a one-stop solution for musicians in terms of song performing, composing idea sharing, personal feeling expression and so on.